The Women's Nova Sweater Sweatshirt from Icebreaker has a relaxed fit and is a go-to for shrugging off the cold in style, whether you’re around the campfire or at home. Ideal for layering up in the warmer months, it features Cool-Lite yarn in super-soft merino and natural TENCEL to help you stay comfortable and warm as day turns to night. 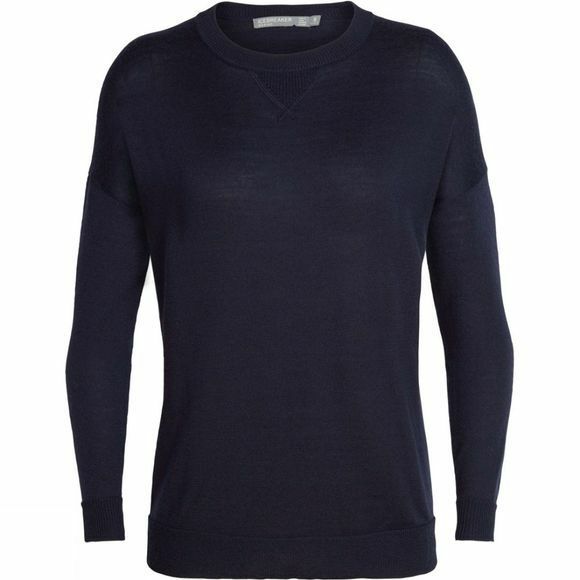 It adds to the comfort stakes with a soft, open neck and ribbed neck, sleeve cuffs and hem. The drop-tail hem offers extra coverage.